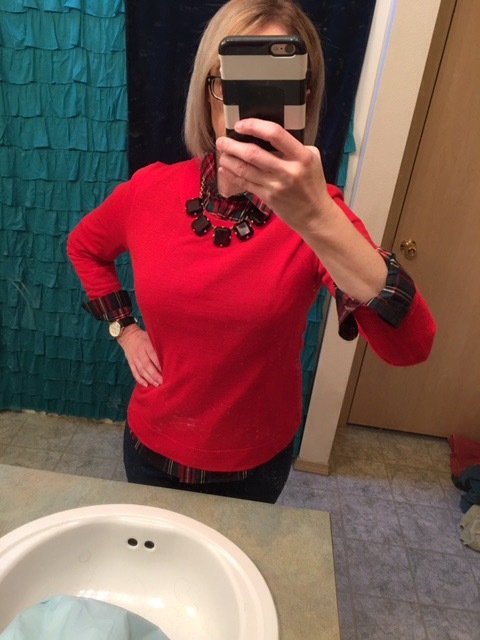 Christmas 2016 Outfit of the Day!!! I’m feeling very festive today! I wanted to feel comfortable today, so jeans it is! JC perfect shirt (now at JCF), JCF Necklace, JC Teddie Sweater, ON Jeans!!! Totes adorbs! How are you celebrating Christmas with JCrew? Merry Christmas to you all! Thanks for your love and support this year! I look forward to bringing you more JCrew and Kate Spade love in 2017!! !